Summertime in Del Mar still conjures up the same utopian image that Bing Crosby envisioned in the 1930s: a day spent at the grand racetrack by the beautiful Pacific. The popularity of the races hasn’t waned at all since 1938, when over 20,000 people witnessed Seabiscuit’s legendary win. These days, over the course of racing season’s six-week run, over one million fans visit the Del Mar Thoroughbred Club. But what to do if you’re in Del Mar on a Tuesday, the only day of the week during racing season (which ends September 6) when no races are scheduled? Stranded in Del Mar with nothing to do? Hardly the case. You could spend the entire day pampering yourself at a spa, or, of course, you could enjoy the 2.5 miles of sandy beach, soaking up the idyllic summer climate. You could shop until your heart is content at many of the upscale boutiques. You could picnic at Seagrove or Powerhouse parks, both with ocean views, or you could dine at one of the phenomenal restaurants at Del Mar Plaza, enjoying a sunset view with a glass of wine. 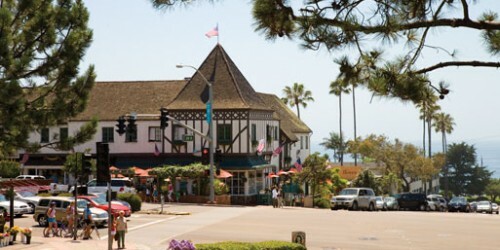 How would you spend your day in Del Mar? After her morning hike, Crawford’s perfect Del Mar day would then be followed by brunch with friends at one of her favorite Del Mar restaurants. It’s impossible to pick her favorite eatery, so Crawford selects a few she’s particularly fond of: Americana, J. Taylor at L’Auberge, Pacifica Breeze Cafe at the Del Mar Plaza, and Cafe Secret, located inconspicuously on Camino Del Mar. “I love the quiche and fruit salads at Cafe Secret,” says Crawford. Next, Crawford ponders how to burn off the quiche. “Well, it’s probably not much of a workout, but I’d probably go for a facial or massage at one of the great spas in town here.” Crawford adds that she would end her magical day by getting dressed up for dinner at Epazote, Jake’s, or Poseidon. The summer days are long, so there are plenty of things to squeeze into the day between the after-brunch facial and evening cocktail. Cigar aficionados like to whet their appetite before dinner with a Cohiba or two at Fumar Cigar. Mike Charles, owner of Hot Air Flyer suggests taking a private hot-air balloon ride with a loved one. He often arranges for pick-ups within a couple miles of the racetrack, depending, of course, on wind conditions. “Taking a private ride with your significant other is one of the most romantic things you can experience together,” says Charles. Del Mar is a popular departure point for Charles’ company, he says, and a balloon ride offers “a unique perspective of how beautiful this place really is.” It must, since Charles claims to have a 100-percent success rate for accepted marriage proposals on private rides. Without leaving Del Mar, you could surf, or, if inexperienced, Akami Surf School will teach you how. Jim Simmons of La Jolla Kayak will take you kayak fishing in the waters of Del Mar, if you wish. He also teaches surf fishing. “If the fish are biting in Del Mar, I’ll personally come and pick you up and help you catch them,” says Simmons, who claims to be only one of two known people to hook, fight, and land a marlin on a kayak. The Del Mar Hilton is another essential stop for active adults. Adjacent to the hotel are eight lighted tennis courts and a PGA-authorized driving range. There’s even a miniature course for the children. The casually-stylish Silk’s Restaurant in the Del Mar Hilton is open all day for breakfast, lunch, and dinner. It’s one of the few restaurants that serve high-quality cuisine from six in the morning until ten at night. Have a fondness for hats made famous by Ruth “Sally” Tippet, the “Grande Dame of Del Mar” and one of the charter members of the Del Mar Turf Club? Visit Dera Kayna boutique, which sells, among other high-end couture items, race-day hats, which are a timeless relic still made popular by the ladies at the racetrack for over eight decades. And don’t think these hats are a gimmick; Dera Kayna is a chic boutique. “I want every article of fashion that I sell to turn heads,” proclaims Dera Moua, owner of the boutique located at 910 Camino Del Mar, which carries the lines of designers Roland Mouret, Doo-Ri, Jenny Packham, Anna Molinari, and Y and Kei. If you’re in need of a fashion upgrade, Moua will give you some sartorial personal training. On the street level of Del Mar Plaza is the Dinosaur Gallery, which sells some extraordinary home decorative fare, including fossils, meteorites, exotic jewelry, and even ancient shark teeth. Perhaps on the day you visit Dinosaur Gallery, you’ll be tempted to buy, for $3000, a giant slab of 380-million-year-old rare marble from Morocco with straight-shelled nautiloids, much older relatives of the coiled and modern chambered nautilus. Collins’ store, if you’re interested, sells a fossilized nest of raptor eggs for $22,000. Also in the Del Mar Plaza is Medici Galleria, which sells art deco, Bombay chests, bronze statues, carpets, credenzas, fountains, furniture, marble, and oil paintings. No free summertime day is complete without some good reading material. Across the street and one block south of the Del Mar Plaza, in Stratford Square, is Earth Song Books, which not only sells books, but also has regularly-scheduled artist receptions and speeches by well-known authors. Handmade jewelry, crafts, and clothing are also sold at Earth Song. 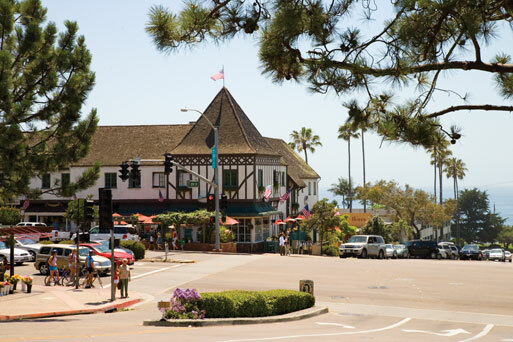 With the cost of filling up your gas tank approaching the same price as a one-night stay at a five-star hotel, there’s even more incentive to stay in Del Mar on a Tuesday and enjoy the many wonderful options this splendid coastal paradise offers.